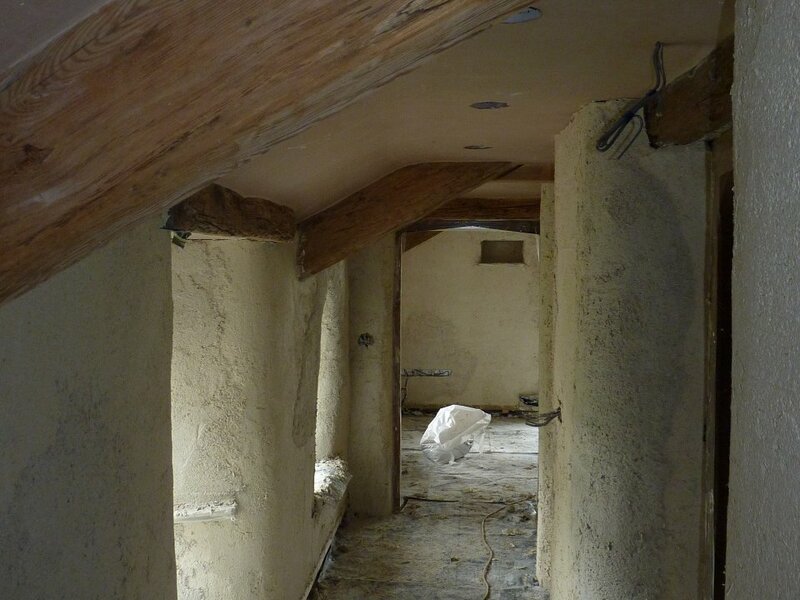 Eden Lime Insulation was developed whilst looking at the insulation of an Eighteenth-century house. 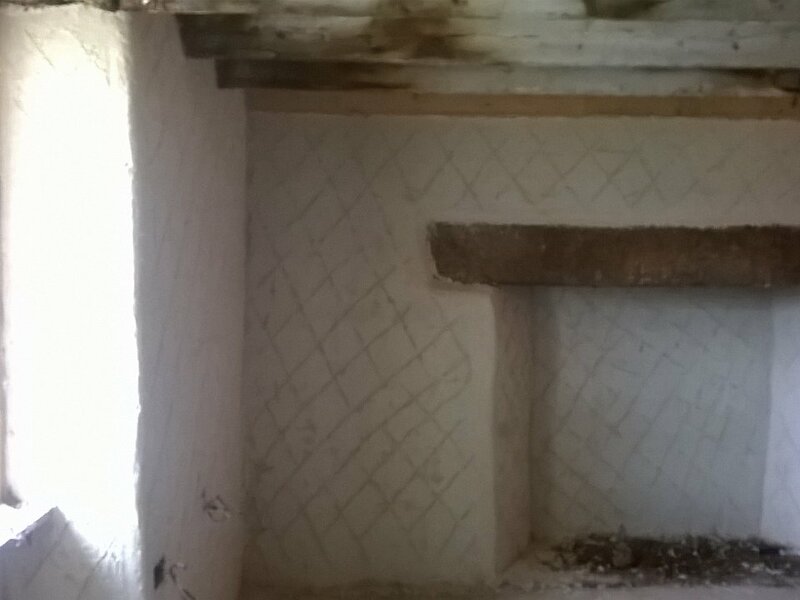 It had little insulation and suffered problems with condensation. 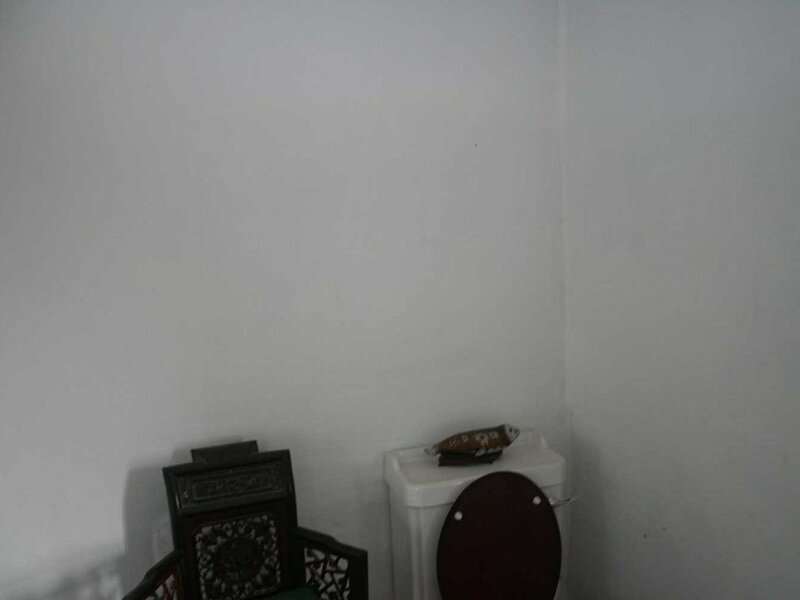 The owner was reluctant to tank it, seal it or inject it as all of these options would seal the walls and make them non-breathable. 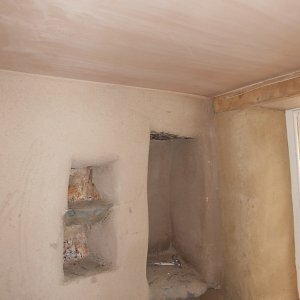 The aim therefore was to insulate the property with a breathable material. 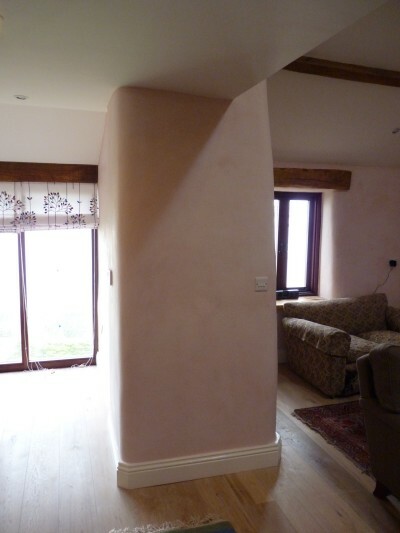 This in practice would mean for example to achieve a U value of 1.19 that on a 500mm sandstone wall it would require 50mm of Eden Lime Insulation. 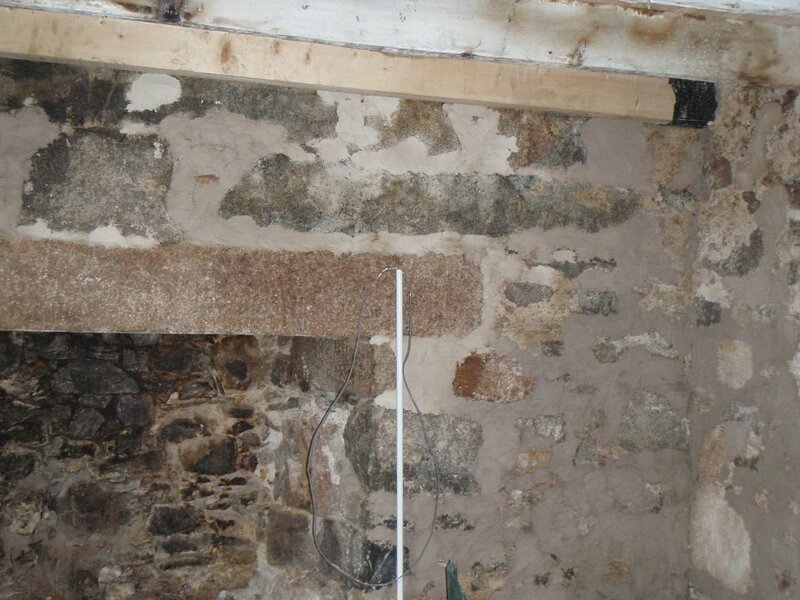 Having achieved these satisfactory results with a breathable product Eden Lime Insulation has now been used on the C18th house and a number of other properties – all with great success..
Eden Lime Insulation is to be mixed on-site and applied in layers directly onto the internal stone walls. 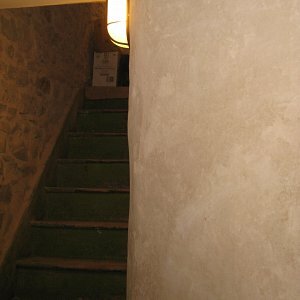 The character of the walls can this way be kept by plastering with the contours of the wall. The layers can then be built up to whatever U value is required. 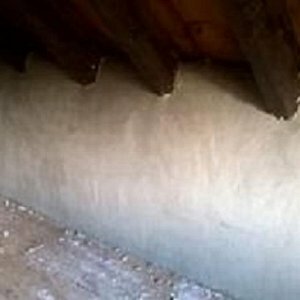 Eden lime insulation is a breathable insulation which can be applied directly on to the interior external walls as well as internal walls. 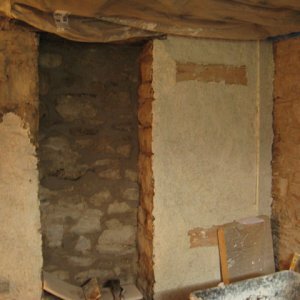 The insulation is applied in a wet form, normally with the aid of a harling trowel, but some builders use a conventional float. 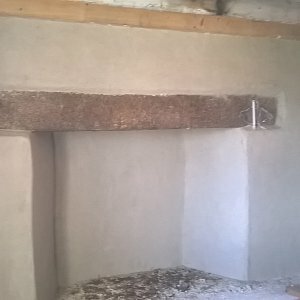 The insulation can be built up in layers, at a maximum of 20-25mm at any one point, once dry another layer can then be applied. 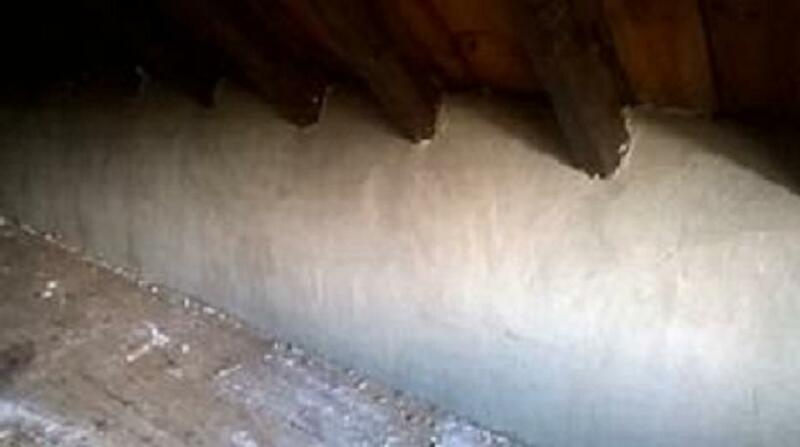 The first coat can be left quite rough as it will aid the cohesion of the following layer. 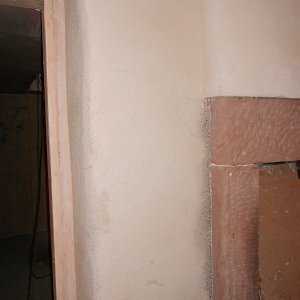 The second layer can be smoothed off an hour or two later so the skim coat will be easier to apply. 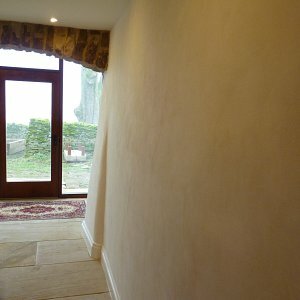 Generally people tend to apply 50mm followed by a 6mm skim coat. 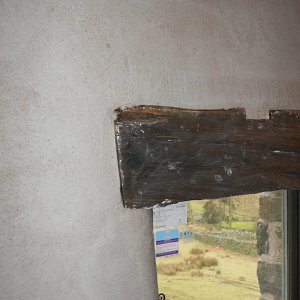 followed by a lime wash finish. 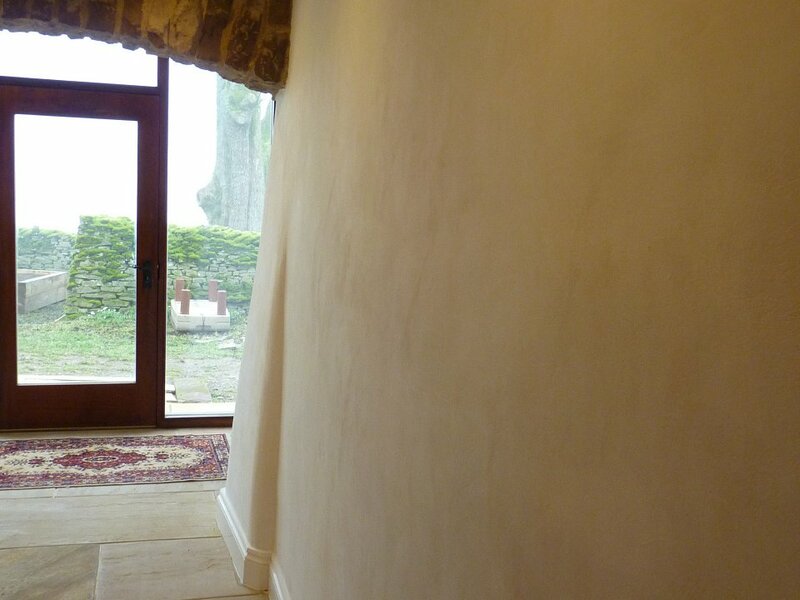 It has been known for some architects to specify 100mm in four coats, but from feedback that we are receiving, 50mm is achieving some wonderful results. 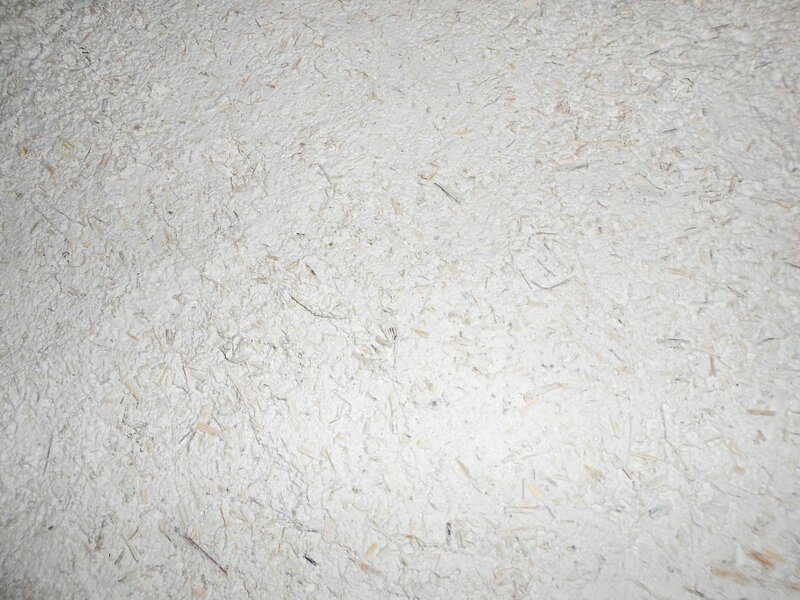 The materials for the insulation come in four separate bags. 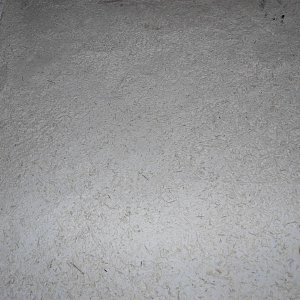 The materials can be mixed in a paddle mixer (preferable as less splashback) or a belle mixer. The contents require a thorough mix (15-20 mins) before application. 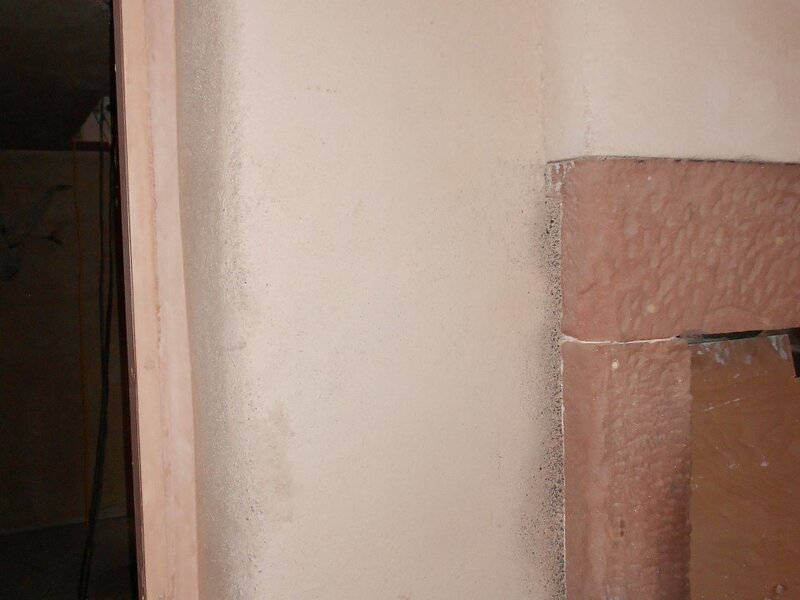 The walls need to have been brushed down of any loose materials then given a wash down half an hour before applying the first layer. 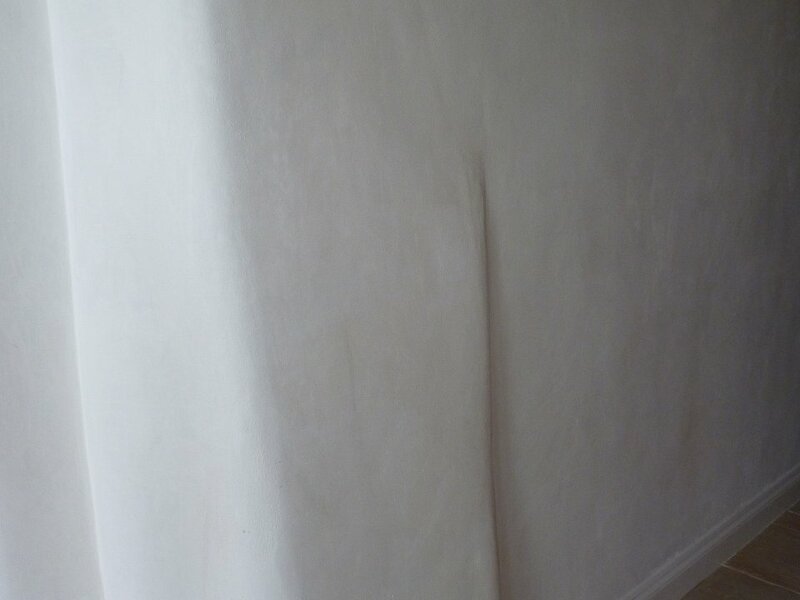 The second layer is generally applied a week later once the first layer has dried (turned white), this depends on the temperature/humidity and how dry the walls are. 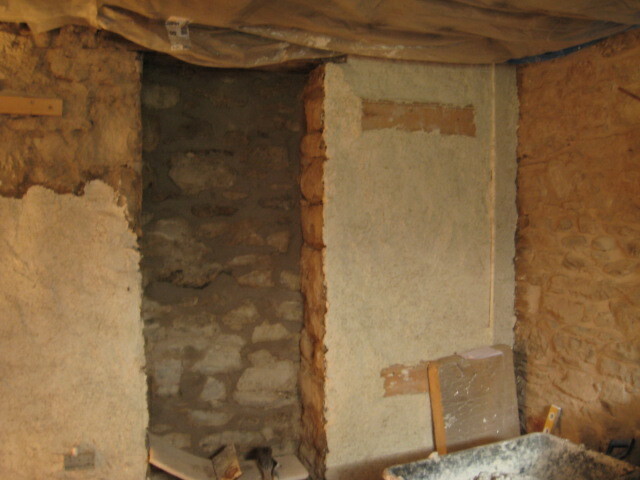 Before applying the second layer the first layer should be dampened. 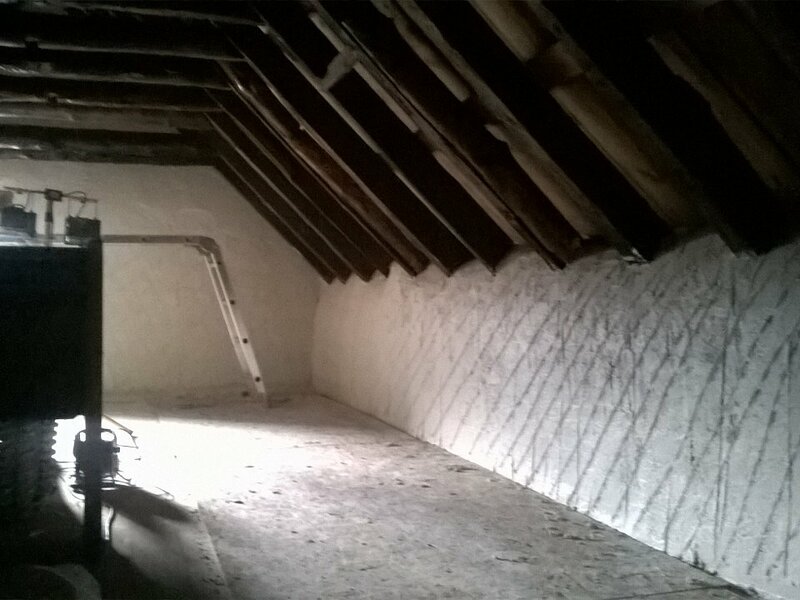 Carole and Bruce are doing a complete renovation of an 18th century listed cottage near Braemar which had been abandoned in 1955. 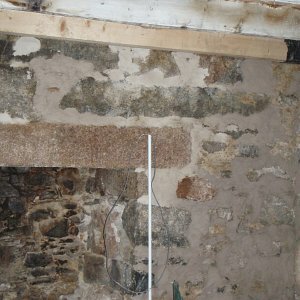 All the cement pointing was taken out on the exterior and replaced with lime pointing so the granite walls could breathe. 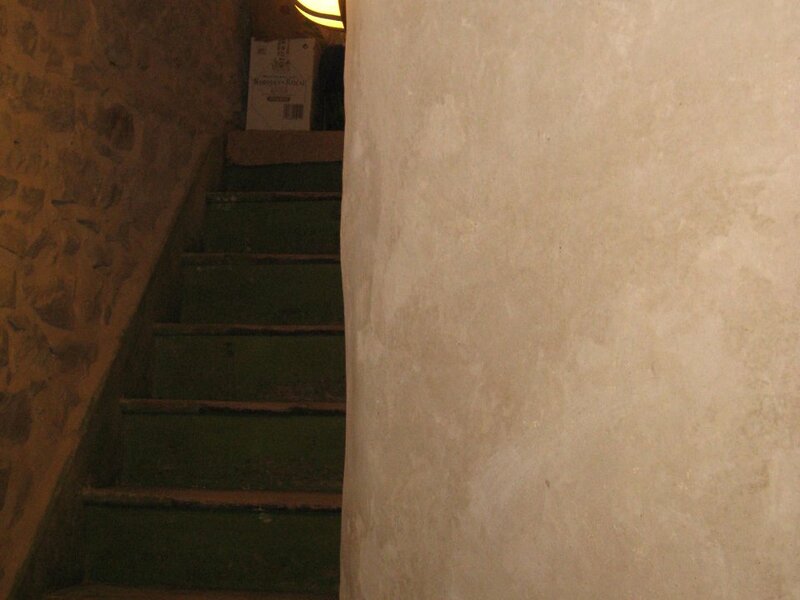 The same principle was applied to the interior walls, which are half a metre thick and were covered in 25mms of lime plaster and thin wood panelling. 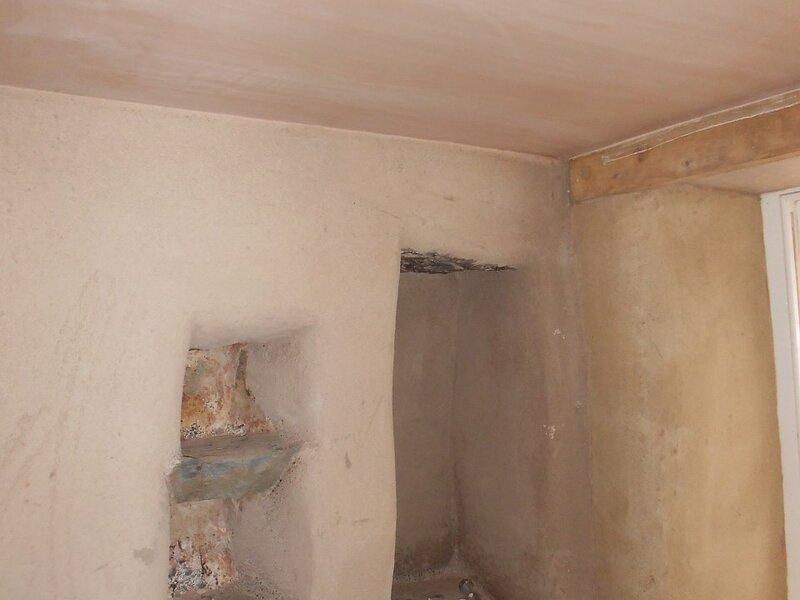 The walls were stabilized by pointing roughly with lime mix to provide a stable surface for the Insulation plaster. 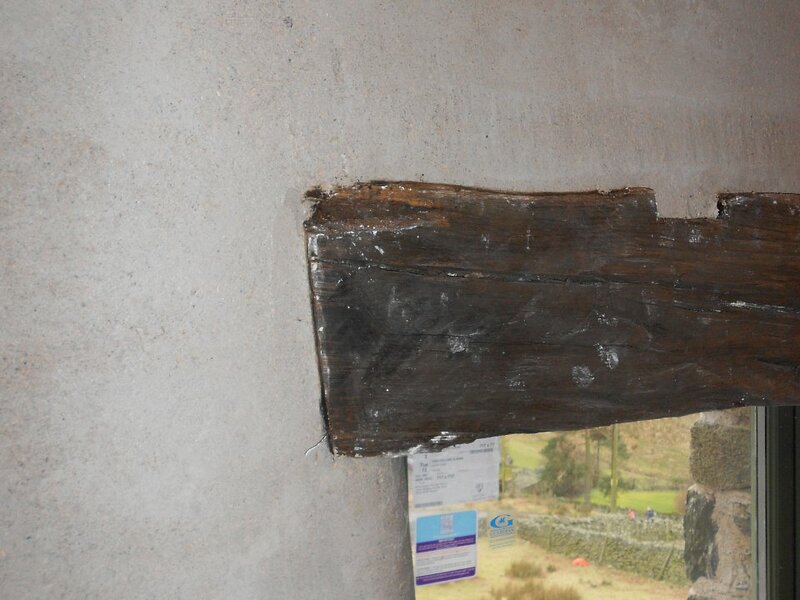 All the materials, mix data and initial training were provided by Eden on site. 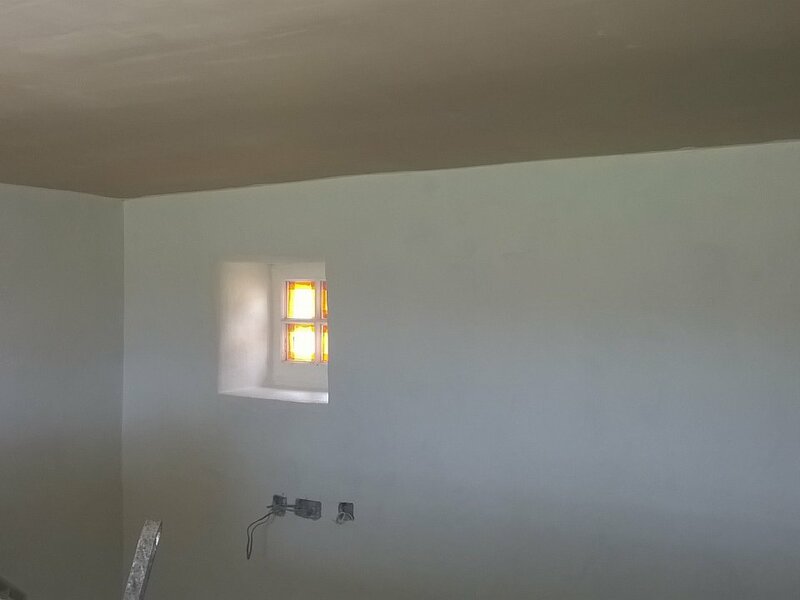 The Insulation plaster was applied in 3 coats of 30mm, 25mm and 15mm thickness over a period of 3 weeks and covered an area of 80sqm. Bruce did the entire works without any assistance in August 2015 and he is well past retirement age. 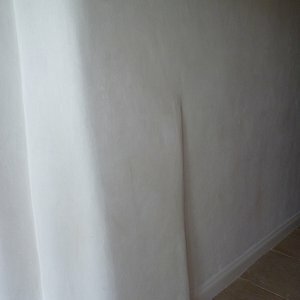 Once the plaster was down to about 12%, Carole painted the walls three times with paint from Keim supplied by Eden Hotlime. 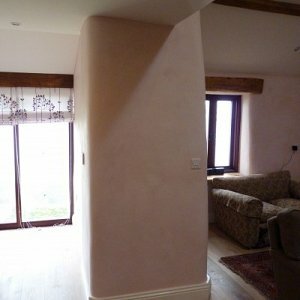 She raved that it was the best paint she has ever used with a satisfying ‘feel’ and finish. 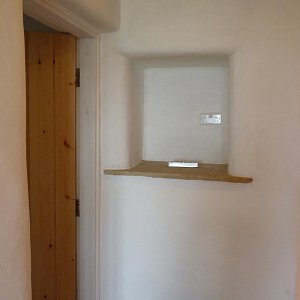 The outcome with under-floor wet heating under Caithness Slab is that the cottage is warm all the time and can maintain 18C after only a two hour boost first thing in the morning. 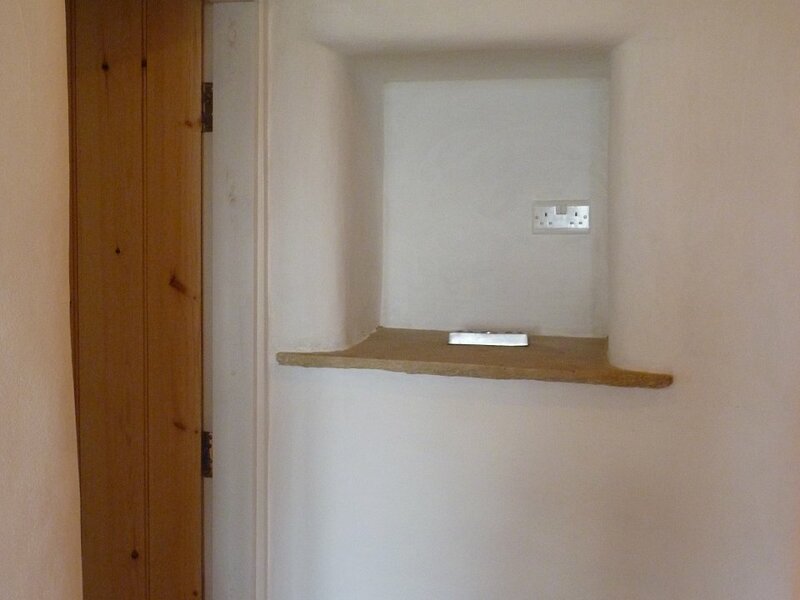 This is a remarkable outcome as the cottage is at 1100ft on top of a hill and can only be attributed to the outstanding insulation qualities of the plaster. 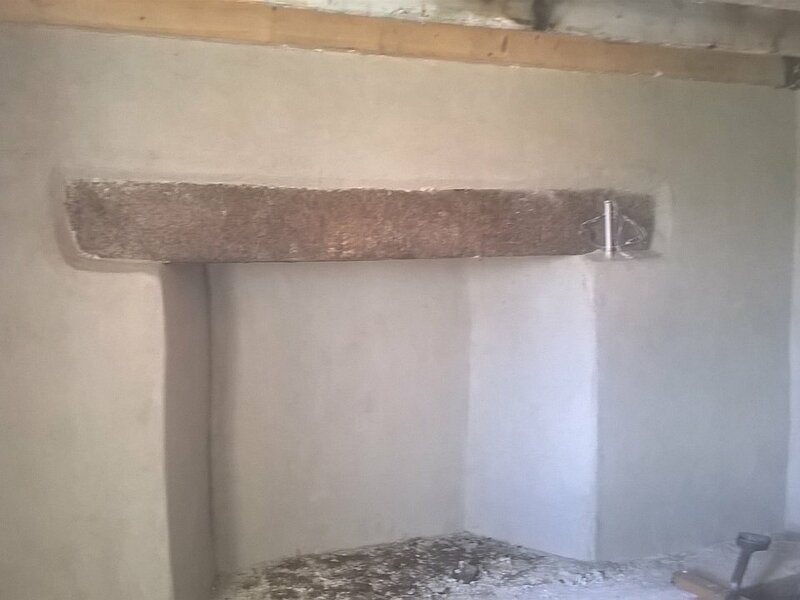 The insulation is working really well, the house is warm, it looks really good, and we have used very few pellet in the biomass boiler. 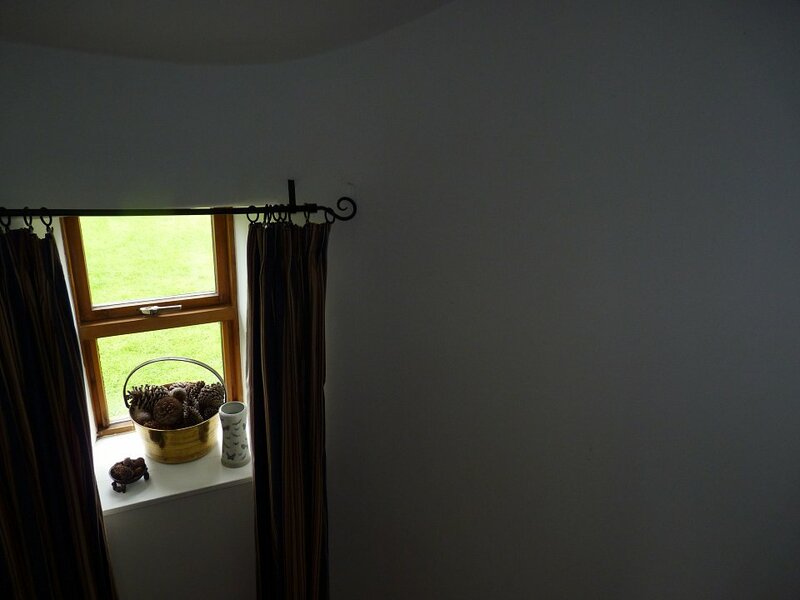 I am amazed as to how warm the room was in the morning, the heating was switched off at 6pm when the temperature within the room was 18 degrees, the following morning at 6am it was 16 degrees, the external temperature was 3 degrees. Thanks for the sample, really like it. 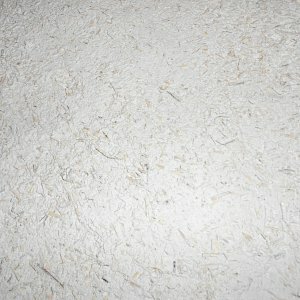 Natural, good finish; good product. 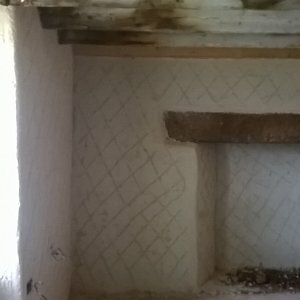 In case you are interested, I have been doing some research regarding a few different materials and how they can improve energy efficiency. 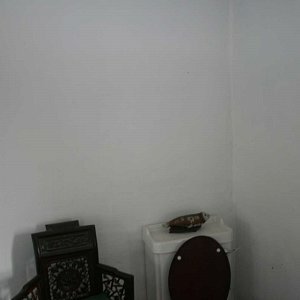 I found that your product, when put on a simple solid wall building, increased the u-value rating from what is normally 2.1 W/m²K to 0.187 W/m²K. 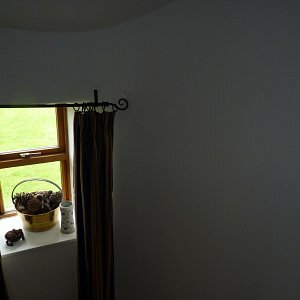 I allowed for a house with 75m2 worth of wall-space for the product to go on, and it would save energy bills by a staggering 91.14%! 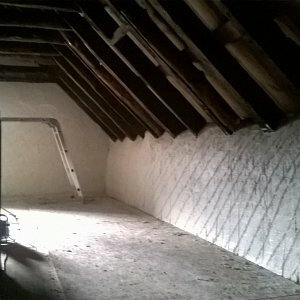 Just thought it might be useful for you to help promote the product and hopefully get some more business! 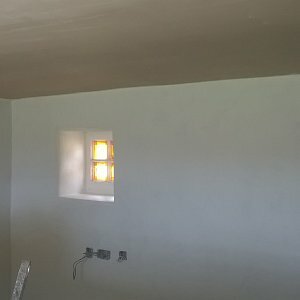 Unsure at first about the product but now looking to use it on more properties as I’m very happy with the finish and the warmth of the house. 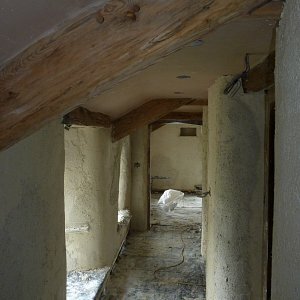 Wonderful to bring a house to life and not have the straight lines of rigid insulation. 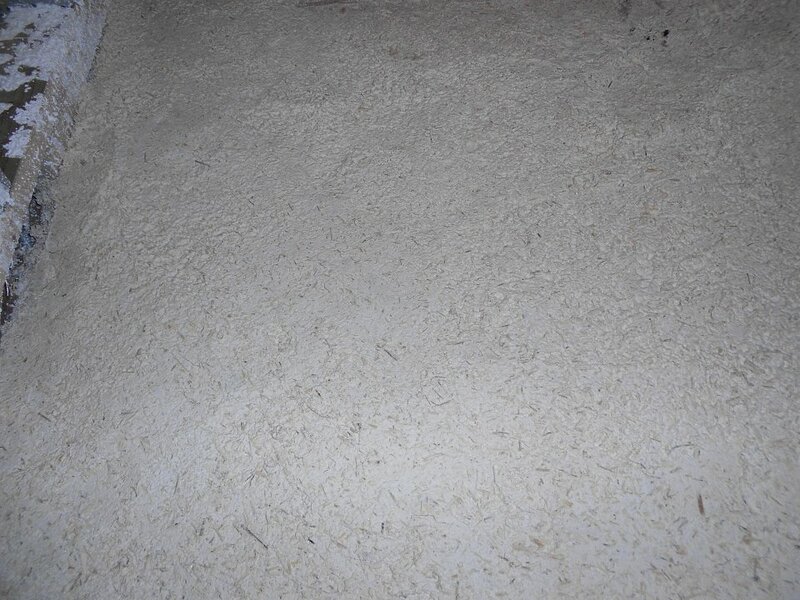 Really like the finish and insulating properties.